What is a number format in Excel? Core Excel is carefully constructed of high-quality, bite-sized videos, so you can learn fast now and find key info later just when you need it. It's the training you should have had to begin with, and what you need to finally stop wasting time in Excel. A simple way to add your own buttons to the ribbon, to keep frequently used commands at your fingertips. How to avoid using the ribbon for many commands, and how to quickly hide the ribbon when you just want it gone...this gives you space to see 4 extra rows of data. Mac and Windows shortcuts in every movie! Every shortcut we use is on display for you to learn. Why scrolling is the worst (and slowest) way to select lots of data, and how to select select hundreds or thousands of rows without scrolling at all, and without touching your mouse. How to select multiple cells that aren't even close to one another with one simple trick (great for one-step format changes). An easy shortcut to add the same data to more than one cell at a time. You'll be amazed at how often you can use this trick...you can even use it with formulas! A quick way to enter the current date and time without typing. An easy way to "pin" any file to your recent files list so that it's always there, ready to use. How to jump to the bottom and top of huge lists without scrolling (this can save you tons of time each week if you work with large sets of data). How to use the fill handle to enter data for your. A great way to enter dates that are Mondays, or dates that are exactly 15 days apart, without typing! You just have to "teach" Excel the pattern. How to use drag and drop to move and copy data. This is a surprisingly useful way to move things around in Excel. Try it! How to select cells with the name box, a cool feature that few Excel users take advantage of. How to insert new rows or columns any time you need them, and why Excel doesn't care how many rows or columns you delete. (By the way, deleting rows and columns is a great way to slice clutter out of a worksheet). How to hide rows and columns, and tell if someone else has hidden them. How to "cancel" a change you don't want to make, by pressing just one key. You'll use this every day. A simple way to duplicate entire worksheets (a huge time saver if you need to set up many similar worksheets). An easy way to hide tabs you don't want others to see. How to move worksheets to a different (or new) workbook. How to enter both formulas and functions. How relative references really work and why they are incredibly useful. What an absolute reference is and why you need them sometimes. How to get Excel to change between relative and absolute addresses for you. Who wants to fiddle with dollar ($) signs? The simplest way to create a named range, and why named ranges are a fantastic way to make your formulas easier to read and copy. (They also add professional polish). How to make Excel format your dates for you (in any way you like). How switch quickly between different number formats, like accounting, currency, dates, and times. Even how to make Excel format numbers as a fraction (most people don't even know you can do this). How to create your own custom number formats to display numbers any way you like. (Even things like durations like 30m, or 8 hrs). How to know whether Excel thinks something is a number or text, just by watching the alignment. How to turn on text wrapping, and how to add a line break inside a cell (something that drives people crazy). How to center text across cells *without* merging cells (Excel pros consider merging cells simply "evil"). How to align text to the top or bottom of a cell, and even how to rotate text at different angles (one way to get long labels to fit in narrow columns). How to use a special shortcut to apply almost any kind of formatting, *without* the ribbon. 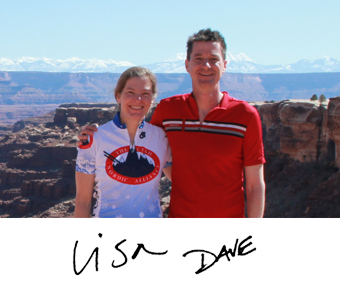 How to use special formats, like strikethrough and double-underline. How to quickly strip all formatting and start over. (Much faster than trying to undo formatting). How to quickly remove all borers and fills so you can start again. How to "punch lines" into a solid fill for a more refined look. How to "draw" borders in almost any shape using a special tool on the ribbon. How to use a special tool to paint cells with the formatting you see in other cells (a huge time-saver). How to quickly strip away a lot of formatting and start over. Often, this is far faster than trying to undo many layers of formatting. Conditional formatting is one of the coolest and most underutilized features in Excel. With a few clicks, it can show you things about your data your eye won't catch otherwise. How to get Excel to show you the top 10 values in a list, or the bottom 10. How to make Excel show you duplicates (It's fun to make Excel do the hard stuff). How to make your own conditional formats, so you can flag problems or highlight good data automatically. The short answer is that Excel remains a critical tool at the center of a huge number of business decisions. And yet, a huge amount of time is wasted every day by intelligent people trying to solve typical business problems with Excel. It's not their fault. Excel is complicated, and almost no one gets good core training. 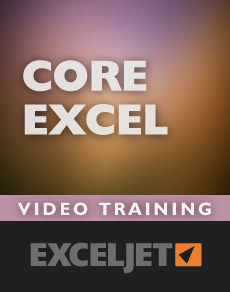 Core Excel is designed to give you the foundational training you should have had to begin with. Core Excel covers a lot of ground. Using bite-sized videos in razor-sharp HD format, Core Excel teaches you how to use formulas for text, dates and times, cell references, named ranges, alignment controls, formatting (including conditional formatting) and much more. Each video is short – typically 3 minutes or less – and all videos come with a practice worksheet that you can download directly below the video. The course is is self-paced, so can move through it as fast or slow as you like. Yes. There are some small differences in the Mac and Win interface, but in general Excel has good overlap between Mac and Windows versions. The videos were recorded in Excel 2010 on Windows 7. All videos show shortcuts for both Windows and Mac.